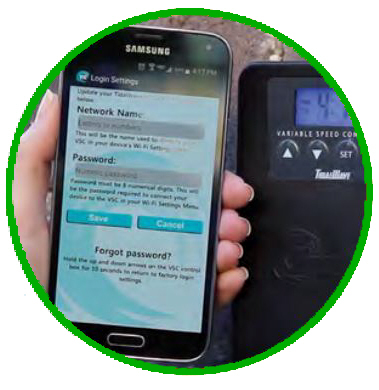 The TidalWave VSC (variable Speed Controller) allows you to vary the output of TidalWave TT & TW-Series Asynchronous pumps wirelessly by remote control or with the iPhone mobile app! The VSC allows you to set both on and off times as well as drop to 25% of the total flow, in 10 levels of adjustment, giving you the ultimate control over water flow. Now you can vary the output of any Atlantic TT-Series or TW-Series pumps (up to 800 watts). 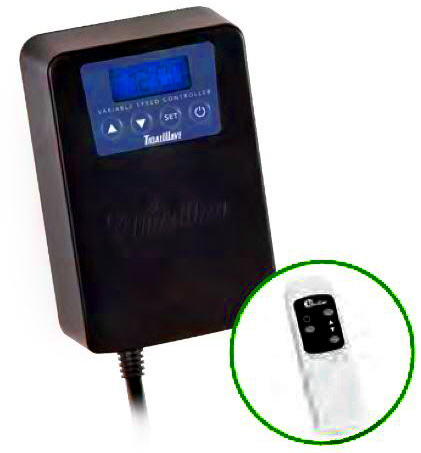 This remote controlled variable speed controller allows you to adjust the flow of your pump by remote without having to turn a ball valve open or closed. The Variable Speed Controller allows you to set both on and off times as well as drop to 25% of the total flow, in 10 levels of adjustment. Overriding the control box with the remote control does not change the settings; pump will return to the preset on/off times after the next cycle. When powering on, the Variable Speed Controller sends full power to the pump to get it started and then dials it back down to the level it was on when last turned off. 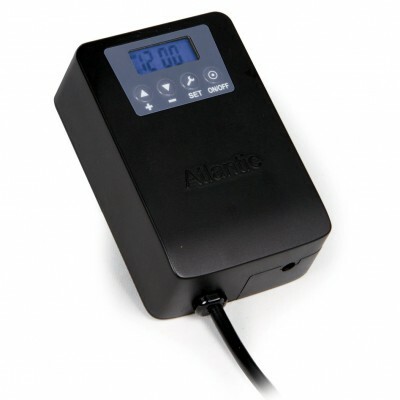 The Atlantic Variable Speed Controller controls asynchronous pumps wirelessly by remote control! Unlike integrated variable speed controllers, where any failure of pump or controller renders everything non-operational, the Atlantic Variable Speed Controller operates separately from the pump. Multiple VSC's can be used to control multiple pumps with a single remote!